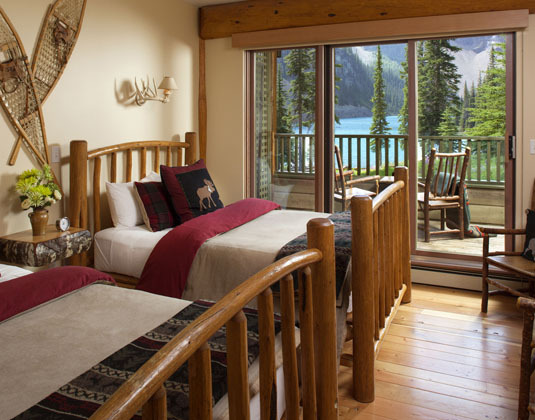 Nestled in a glorious valley in the Canadian Rocky Mountains between Lake Louise and Banff, Moraine Lake Lodge provides the ultimate getaway location. There are numerous activities at the lodge and in the local area, two dining options and all cabins and rooms offer custom-designed, handcrafted log furniture. In lodge rooms with hairdryer, coffee maker and outdoor deck. In keeping with the mountain getaway experience, there are no TV's or telephones. FREE daily afternoon tea & coffee: 3-5pm in the library.